Tags: california, cash, donate, tournament. Posted on Friday, November 16, 2018 by "K". A poker tournament scheduled on Veterans Day in the United States (November 11, Sunday) in Gardena, California has been won by an unforeseen fellow. What’s intriguingly wonderful was that this fellow made an astonishing move – he donated all his wins to help support a noble cause. Robert ‘Rob’ Reid is 52 years old and works as General Manager of two Gardena-based casinos called Hustler and Lucky Lady. Most of his time is spent behind the scenes of poker/casino tournaments than in front, but this time he figured he’d join in on the fun and entered the tournament. He never expected to win it in the end! The tournament that had a $10,000 top prize attracted 111 player entries. After eight hours of play, there were four players left, and they all agreed to split the pot. Since Reid was the decisive chip leader, he received the lion’s share, and the rest of the pot was split among the other three. While most winners would call it a day and go home with their winnings, Reid did something remarkable. He decided to donate all of his wins worth $2,000 to the Red Cross Disaster Relief Fund for first responders in Southern California. These first responders are the firefighters who have been diligently battling out-of-control wildfires in the state. Mob Alert: BankrollMob's Race Horse Freeroll - 100% Free Entry! JC Tran Wins WPT Rolling Thunder! WPT Bay 101 Shooting Star Begins Today! 7 comments for "California Casino General Manager Donates Cash Won from Poker Tournament"
after the split, which he donated for the fire fighters. He sure picked right, giving that money to the fire fighters. I read about Gerard Butler that he will try to host a fundraiser, for people who lost their houses in the californian fire, and that he will try to get a million dollars from his friends. It's a good thing to help people with problems and this manager of casinos, proceed in a human way offering a sum of money to the firefighters. Congratulations for Gerard Butler, Robert ‘Rob’ Reid and all peoples who will help people affected by fires inclusive firefighters. How is this news worthy? He will get a nice tax credit on this money so overall he won the same amount twice while giving it away only once... I would have done the same because it really was not that lifechanging kind of amount. Still, good for him. general manager of California casino is so kind full person. this is such a great work for the poor people. 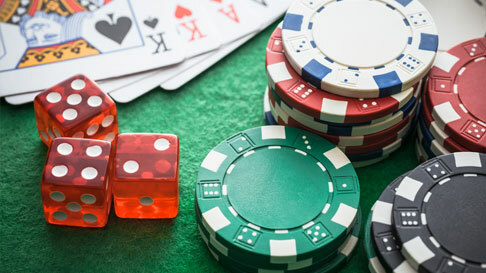 generally people are playing casino or doing gambling to win money for themselves, but here he is creating a different and praiseworthy history of casino world. This news counts for those who want to donate money. Many people who lost their houses in the California fire and they have no roof over their heads and they sleep outside. I refer to those who are not rich. At these times, people should solidarity and to donate money for these people beaten by fate. Surely if this General Manager at two casinos would have won a tournament and the prize for the first place was two millions dollars he would not have donated more than $ 50 k or $ 100 k.
This does not matter now but his gesture counts. People like him should exist all over the world. That is humanity and dedication for affected people or for those who help.